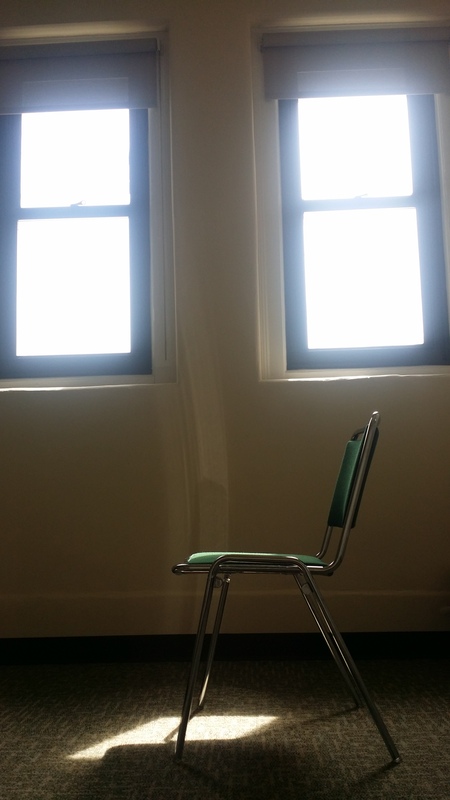 Home › Opinion › Is Roosevelt’s prayer room discouraging students from prayer or simply apathetic? Is Roosevelt’s prayer room discouraging students from prayer or simply apathetic? With all of the stress that comes with the end of the semester dwindling down, many students find that meditation and moments of reflection are a great way to refocus the drive to finish out the year strong. There are a lot of ways in which Roosevelt University promotes healthy mental practices such as this, including promotion of the Academic Success Center and the Counseling Center. Last month, there was even a flyer released for the university’s very own Prayer and Reflection Room. The flyer did not give any information about who to call for more information about the prayer room, so it took time to do a little digging. Student Services did not know who was in charge of the room, and one person in the office did not know the university had a prayer room. The Center for Student Involvement said the person who established the room does not work at the university any longer. In fact, the room was set up simply to appease some students who had a push to include the room on campus. The fancy TV billboard in the Wabash Lobby advertises the room being in AUD 1258. However, herein lies the problem. According to an archived news piece put out by the Torch in 2012, when the room originally was set up, it was located in AUD 703. The fact that the room has now been moved to the tower is somewhat disconcerting. Typically freshmen and sophomores do not know how to get to the tower in the Auditorium Building. The Auditorium Building is enough of a winding maze of staircases which lead to nowhere, as it is. Getting to the tower is especially tricky if you are unfamiliar with the premises. The reason this is upsetting is because freshmen and sophomores are going to feel the biggest disconnect from friends and family and might need a special place to go to in order to reflect and refocus themselves. By making this room so impossibly hidden, it almost defeats the purpose of having it. After a few tries to access the prayer room and some direction to the tower’s elevator, I found the room locked. It seems to be that a room designed for students to have privacy and reflect, meditate and regroup should not cause anxiety just to enter — why even have the room in that case? A kind janitor opened the room for me. The small room contains two chairs, a small table and a coat rack facing two windows. As the light poured through the windows and I began to reflect on what this room means to the students of Roosevelt, I began to wonder why it is so important to have a place where students can go in order to connect with a spiritual part of themselves. My conclusion is this: if you know in your heart that you need a place to pray, meditate, reflect or whatever your needs, then your school should absolutely be a place where you can feel safe and comfortable to do this. Moving the prayer room to the tower might have been out of pure necessity. Perhaps it was out of consideration to provide a windowed room for prayer. However, the lack of signage and promotion of this room in comparison to other student involvement programs still seems to have negative connotations. Certainly it is important that the school does not promote one religion over another. In fact, this room does not even need to be for students who are religious at all. It seems curious that the university would provide a room that, for all intents and purposes, is a really great idea, yet, no staff is aware of who is in charge of preserving it or how it works. Not to mention, most students who I asked about their feelings on the room are surprised to hear that it exists. I am not here to bash the university’s policies or say it is doing a bad job. But a little ownership and maintenance of something that can add a lot of character to our school would make people who are outsiders here, or just feeling a little lost, know that the university cares about going the extra mile in order to promote happy and healthy students.